The revelations that Australia intercepted the communications of the President of Indonesia, his wife, and other prominent Indonesian politicians in 2009, have caused major ructions in the Australia/Indonesia relationship. But do these revelations not simply reveal that spies do their job? After all, it isn’t surprising that spies spy. And surely a prime target for spying is a national leader. At the least, national leaders should anticipate that spies are trying to intercept their communications. In that sense, they are “fair game”. The “shocking” aspect in this case is that these interceptions were “between friends”. But perhaps such “friendly” spying is not surprising. Any self-respecting spy would probably wish to intercept the communications of any world leader, friend or foe, if he or she could do so. In the past however, such interceptions were not easy and required extensive resources and ingenuity. Therefore, spy agencies naturally prioritised spying on enemies rather than friends. These days such careful resource allocation is not necessary due to the exponential increase in spying capacities, as revealed spectacularly by Edward Snowden with regard to the US’s National Security Agency (“NSA”). Indeed, the more remarkable and troubling Snowden revelations are those concerning the extensive spying on ordinary people as opposed to world leaders like Angela Merkel and Susilo Bambang Yudhoyono (“SBY”). We are not such “fair game”. Nevertheless, if you have generated metadata, some of it is likely stored in a database which is accessible to the NSA. Such spying is of course a major intrusion into our privacy. But is privacy a thing of the past? Are people naive to have ever expected their internet activities to be truly private? Have we sleepwalked into a surveillance trap, where the only way out is to eschew modern “necessities” like the internet and the mobile phone? And, er, ATMs, credit cards, GPS trackers, smart meters, itemised phone bills, and pretty much any form of systemic data collection. Private companies, such as Google, Yahoo, Facebook, your utilities providers, your bank and your phone provider have access to an enormous amount of information about you. So what is the big deal if governments spy on us too? A key difference is that there is a greater capacity for harassment by the State if spy agencies perceive questionable behaviour by a person. Furthermore, spy agencies are regulated in secret. Even their true level of accountability to their “civilian” leaders is questionable. For example, we do not know if the phone tap on SBY was specifically authorised by any member of the Rudd government, and we will not be officially told (though Snowden may leak it). That lack of accountability is much more problematic than in previous decades, due to the increase in surveillance capacities. The War on Terror has provided the perfect political cover for this extraordinary extension of spying activities. Naturally, the NSA and various world leaders (and former leaders like Julia Gillard) have lined up to defend extensive spying on the basis that it protects us from terrorism. As we do not know the true extent of the terrorist threat, we are at a disadvantage in countering those arguments (though it is not impossible to do so). Regardless, the cat is out of the bag and the Snowden deluge is set to continue for some time yet. For that is the flipside of these greater capacities for super-spying. There are also greater opportunities for us, the people, to find out about that spying. The modern level of intelligence-gathering necessitates the use of a lot of human beings, and some of those human beings are going to “go rogue”. Edward Snowden was, in a sense, inevitable. “Going rogue” in the old James Bond days meant secretly revealing secrets and intelligence capacities to a foreign power, often an enemy. 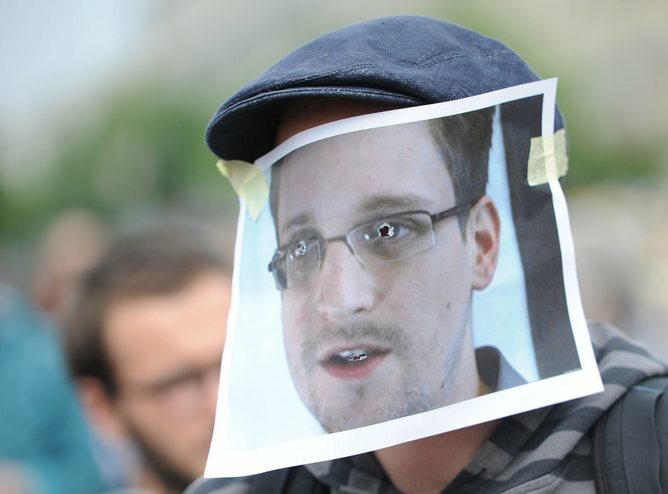 Snowden’s “crime” was different – he has revealed these great new intelligence capacities to us, the people. Snowden’s explicit motive for doing so was to spark a debate about the proper extent of intelligence gathering. In that, he has been successful. UN chief Ban Ki-moon has criticised Edward Snowden for his revelations. But can one imagine Ban criticising a spy for spying or even becoming a double agent? Those are normal elements of spycraft: every country has spies and every country tries to recruit double agents. So the implication of Ban’s criticism is that Snowden committed a worse act by revealing this “super-spying” upon us to us, than if he had simply sold NSA secrets to the Russians, the Chinese, the Iranians, the North Koreans, or whatever foreign power wished to pay for it. Ban was defending the quaint but fast-fading world of government control over secrets, now under siege from the likes of Wikileaks, Anonymous, Snowden and Chelsea Manning. And while much of the media will dutifully but vainly defend that old world, the more “unruly” parts of it (eg the Guardian and journalist blogger Glenn Greenwald) have taken the gloves off. Spying has fundamentally changed and Snowden has told us all about it. At least we can now partake in the conversation and let our governments know how we feel about their spying. They must respond, even if only to retreat behind the handy political veil they so often use: “because … terrorism”. In any case, the game has changed for spies. Their modus operandi has moved on from the traditional “can we spy on person X?”, as the answer to that question is now so often “yes”. As a consequence, they have to grapple more often with the moral question of “should we spy on person X”? We can hope that that question is answered with due consideration for the fundamental human right to privacy. But I do not have confidence that spies, or the governments that are trying to control them, grant sufficient weight to that value. There is likely an inbuilt bias towards the protection of national security, and a natural inclination to err on the side of more rather than less power. But realpolitik may force spies to reconsider the extent of their activities. The “should we do it” question must incorporate the question of “what happens if we get caught?”. As noted, the chances of “getting caught” have increased along with spying capacities. As we are seeing now with the nadir in Australia/Indonesia relations, the consequences of getting caught can be considerable. The increased “sunshine” on spies is, ultimately, their greatest source of accountability. It may already be the key means of controlling them. Previous Post Previous post: Is the criminalisation of homosexuality in the Commonwealth a relic of the British Empire? Next Post Next post: What can Australia learn from other countries about Birth Registration? ASIO was spying across the board on all Australians according to the new book titled “The Spy Catchers” and this included Mothers groups. Anybody with left leaning or anti Liberal tendencies was fair game for ASIO, but you have to read the whole book from cover to cover to discover this author’s worthy opinion. Someone help me. I need help. I am dying from noise pollution.